A Time Honored Tradition That’s Back! 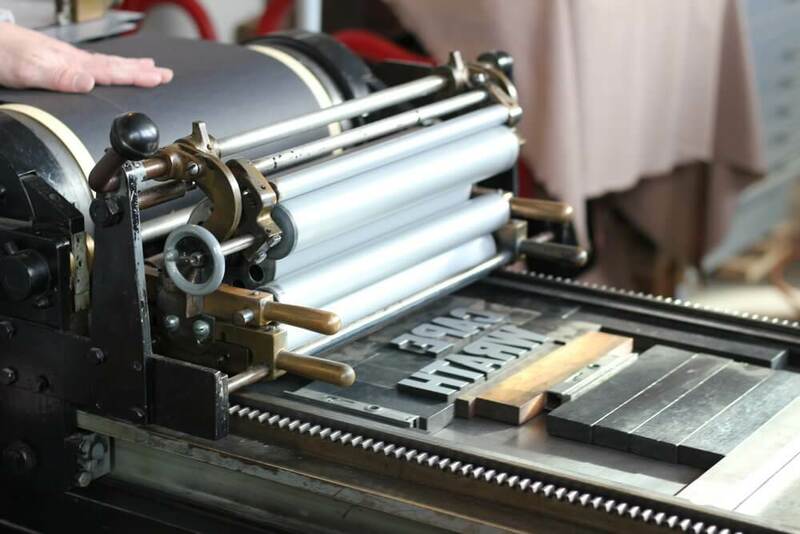 For over 500 years, from the invention of movable type in 1439 to the development of offset printing in the 1960s, letterpress dominated print. As printing techniques became more refined over that period, print quality came to be judged by the level of visibility that printed plates left on the paper. A less visible indention was considered a higher quality product. 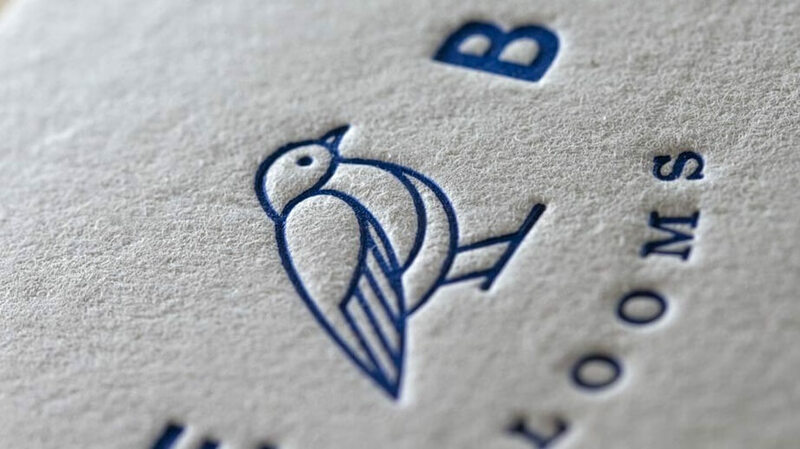 Today, it’s a deep impression in the paper that gives letterpress its appeal. 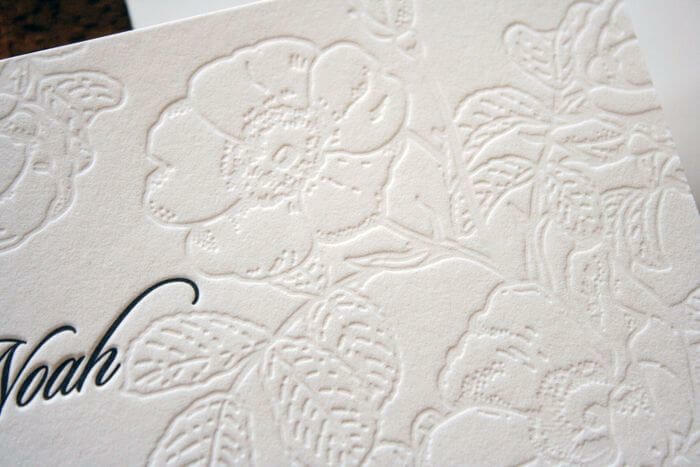 Typically printed on heavier, softer sheets of paper, letterpress inspires a sense of quality, solidity, and elegance. It’s a go-to method for printing wedding and event invitations and can help to add a sense of maturity and sophistication to business cards. And it’s an effective design element that will help your brand to stand out from the crowd. Letterpress can capture small type and thin lines. Letterpress pieces are often noted for their craftsmanship, because the process is typically completed by hand. It involves a plate or set of plates that are used with a traditional printing press. First, a plate is created with your artwork/design. If you’re using a single color, or no color, for your letterpress design, only one plate is needed. Each additional color requires a separate plate, and a separate pass through the press. 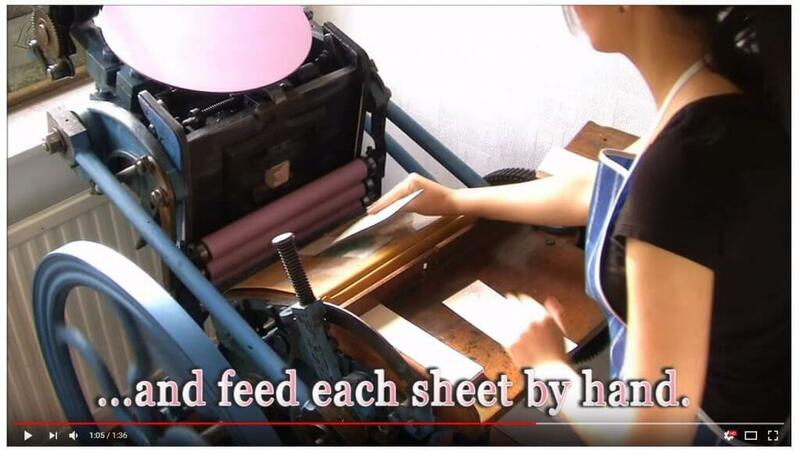 Whether you’re using one plate or several, a plate must first be locked into the press. Ink is mixed, then carefully applied to the press rollers to ensure an even spread. Then, one piece of paper is run through the press per pass. When the stock is run through the press, the rollers apply ink to the plate, which is then pressed into the paper. The final product leaves an impression in the paper, which can either be blind (no fill) or filled with your selected color of ink. 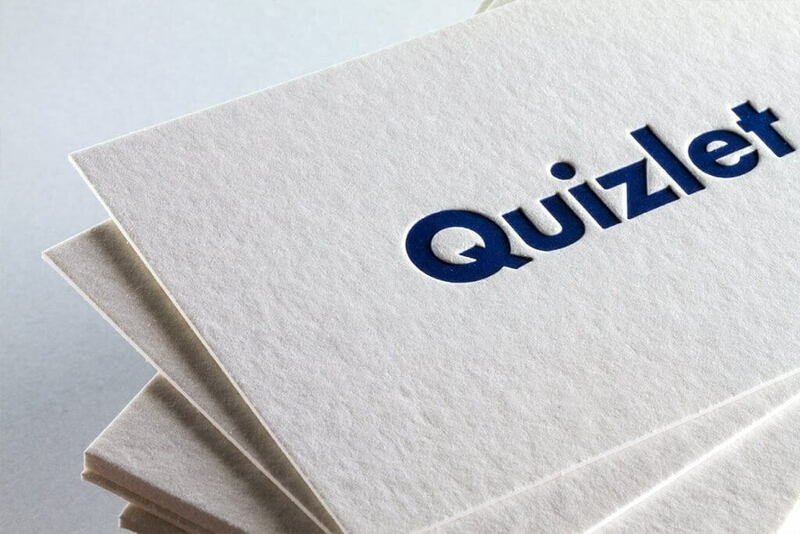 Artistic techniques like letterpress, foil stamping, engraving, and embossing and debossing give your printing a unique and memorable look and feel. If you’re interested in making a positive and powerful impression for your brand, by utilizing these exceptional processes, call Paw Print—we make printing easy!